If you feel as you have something in your eye or find an unusual amount of mucus is building up in your eye it is possible that you may have dry eye syndrome. While some may think dry eyes are completely associated with a lack of lubrication in the eye, there is actually more to it than that. Dry eye can be caused by either a lack of tears being produced or because the tears produced are poor in quality. Anyone might experience these symptoms occasionally, but if you find you are having these symptoms frequently, along with red or itchy eyes, it is time to see a doctor of optometry in order to determine the cause and receive the treatment you need. At Family Vision, our optometrists servicing the cities of Anderson, Williamson, and Clemson, SC are here to help with eye health conditions, such as dry eye as well as assuring that your vision stays as strong as possible. People suffer from dry eye syndrome for a variety of different reasons. For some, the condition is a side effect of the medications they take. Others are prone to it because of the type of contact lenses that they wear. Still others experience dry eye for the first time after they have undergone eye surgery, such as LASIK or cataract surgeries. Dry eye is also a byproduct of many other medical conditions, including rheumatoid arthritis, thyroid problems, and diabetes. The environment plays a role as well. Dry weather can mean dry eyes for many. Some are able to reduce or control symptoms by making a point to blink more often, and by avoiding too much staring at their computer screen. If you have dry eye, the first course of treatment is often to add artificial tears. In mild cases, over the counter products may be sufficient for management, but it is important to be prepared to take treatment to the next step if needed. A simple surgical procedure in office helps many people by blocking tear ducts so that tears cannot drain and dry up the eyes. By using removable silicone plugs or permanent surgery the tear ducts can be blocked and symptoms reduced. 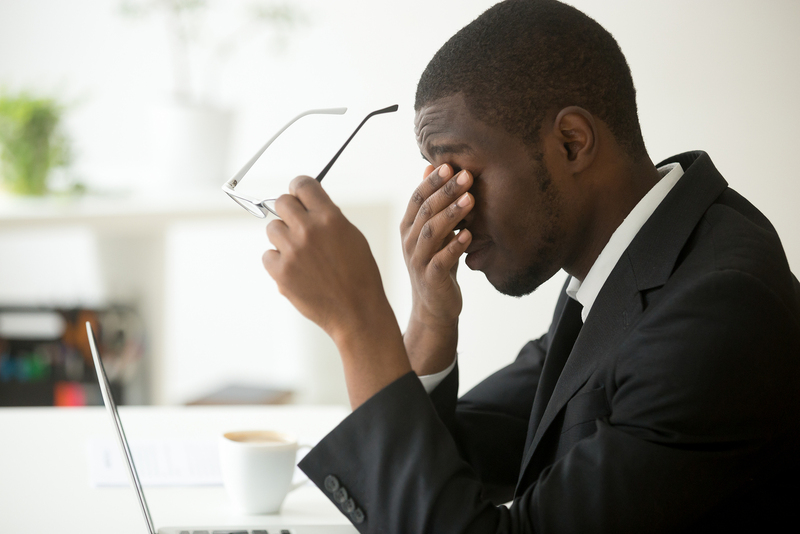 To learn more about what might be causing your dry eye symptoms, and what solution might be best for you, contact Family Vision at one of our three South Carolina locations, Williamston at 864-847-7657, Anderson at 864-226-6041, or Clemson at 864-722-9205 to schedule an appointment. We are proud to be optometrists servicing the cities of Anderson, Williamson, and Clemson, SC.